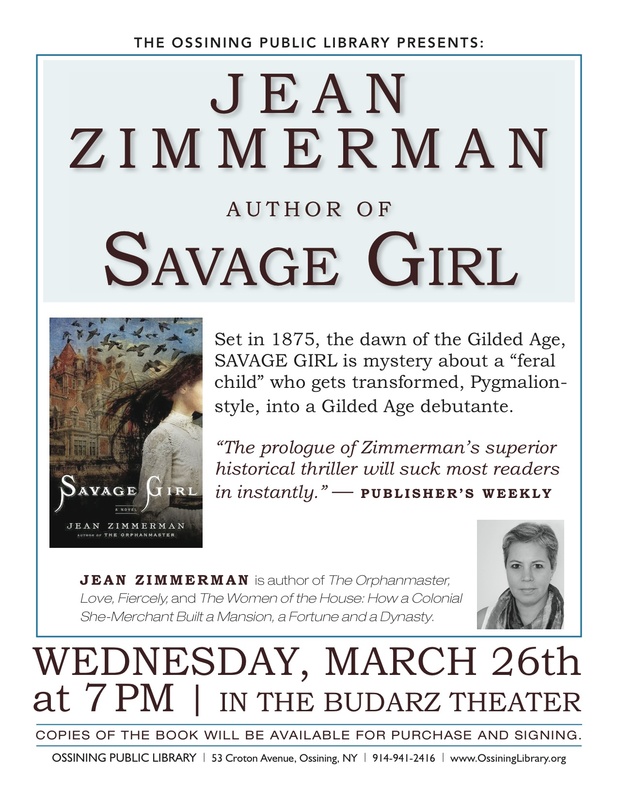 It will be a special pleasure to give a talk about Savage Girl at my local library, where I have spent untold hours doing research, writing, and dreaming out the windows. If you are somewhere nearby on this Wednesday, March 26, please come! Having read a little bit about your *small town* library, I chuckle about its having originated in 1893 as The Sing Sing Public Library. And the fact that its reading room is named for John Cheever, “Chekhov of the Suburbs” and “The Ovid of Ossining” … pretty neat!